A recipe from mom. I seem to only make it once a year, always 4th of July. 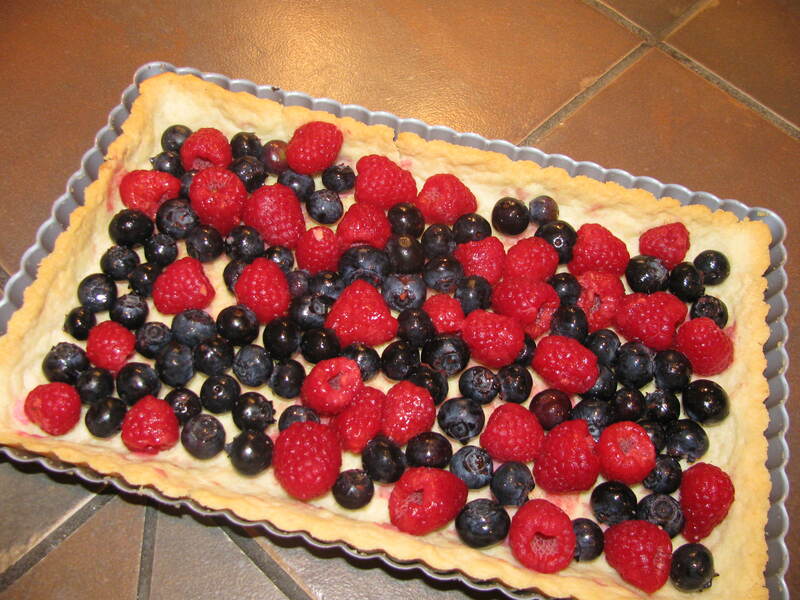 The blueberries and raspberries are Martha-Stewart-perfect for this holiday. Plus, it is EEEeee-zay to make and clean up–think 20 minutes of your time and one thing to wash.
We had 2 pot lucks to go to this past weekend and I made this twice–once for each. This post recounts the first making, which was more enjoyable, although I think it turned out slightly better the second time, owing to practice from the first time, especially in the crust pressing department. 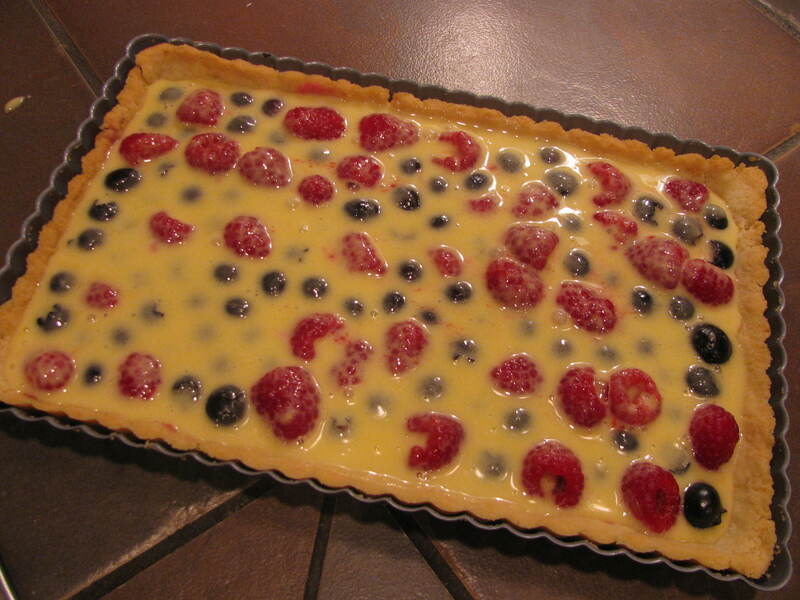 I highly recommend making this tart in the morning, you’ll see why by the end. 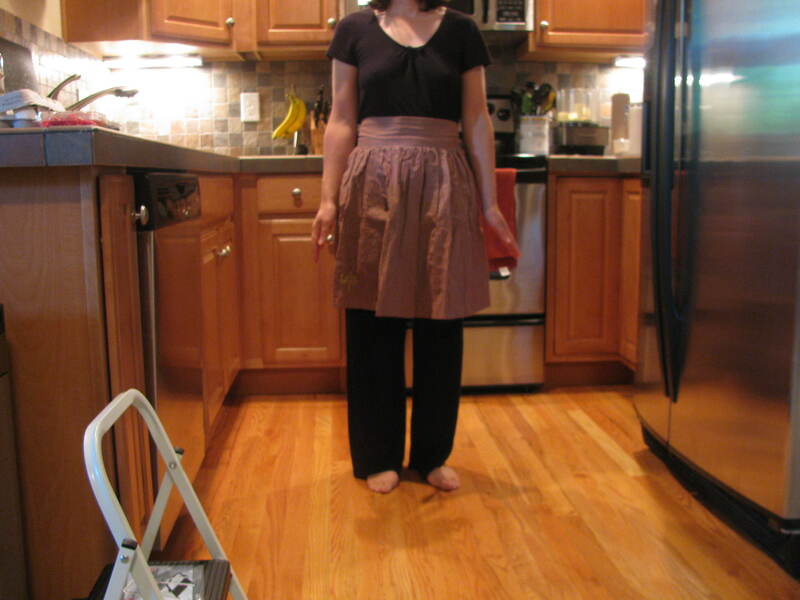 So, don your favorite apron to protect your PJs. I wore my Cruel Tea apron because it says “Shut Up” on it, which is how I feel about people who talk to me in the early pre-caffeine hours of the morning. 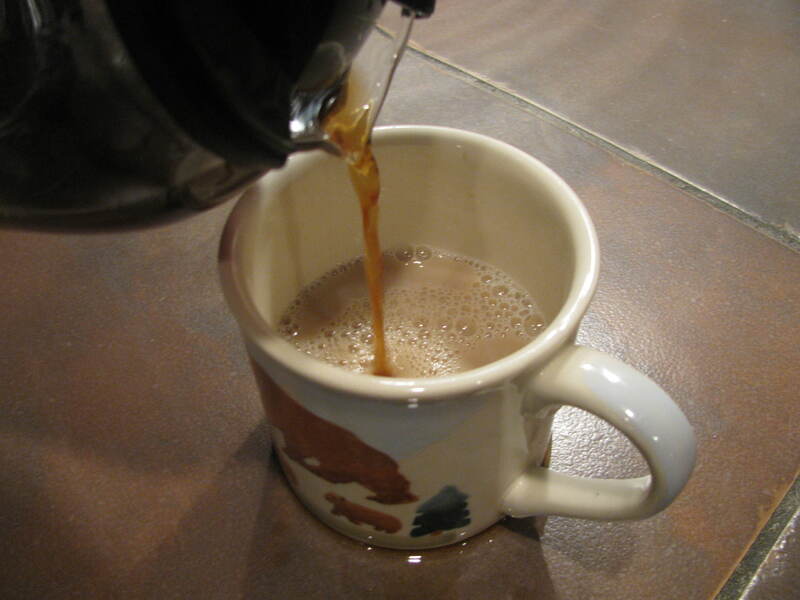 And get yourself a vat cup of coffee. What? You don’t drink coffee? What’s wrong with you? Pre-heat your oven to 375 degrees F. Gather ingredients. 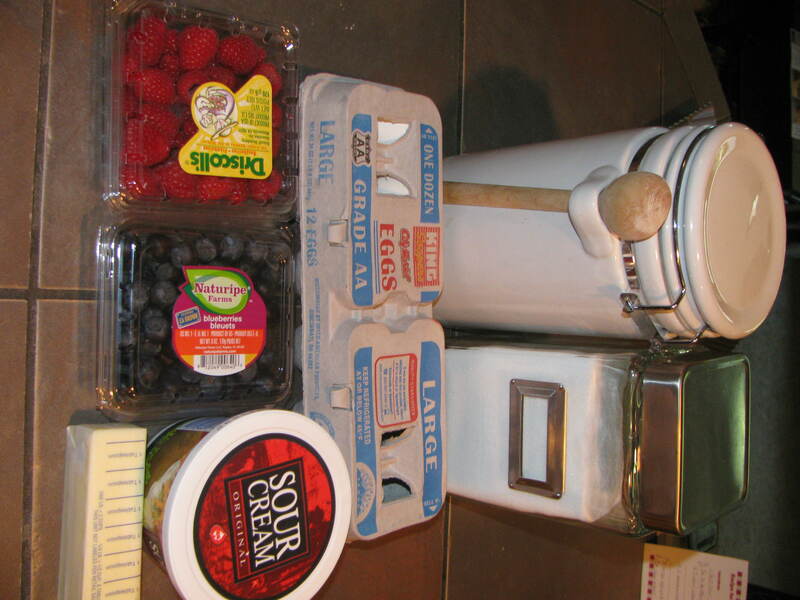 Flour, sugar, butter, eggs, sour cream, and berries. The crusty stuff all goes in the food processor. Spin it together for a few seconds until its a crumbly mess. As indicated with the LARGE letters, I mean it about the cold part. 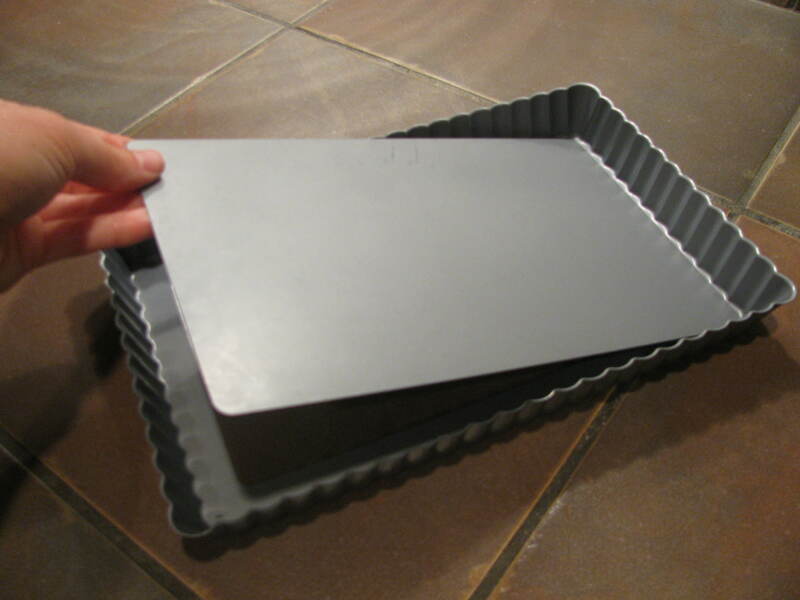 Then press with fingers into first the sides and then the bottom of a tart pan with a removable bottom. Mom uses a 9″ round one. I have this square one that seems to work. Bake this crust for 20 minutes. While baking, you’ll make the filling. Put the next list into the same food processor (don’t bother to wash it between steps; there is no need) and process until you have a lovely yellow custard. When your crust comes out of the oven, lower the temp to 350. 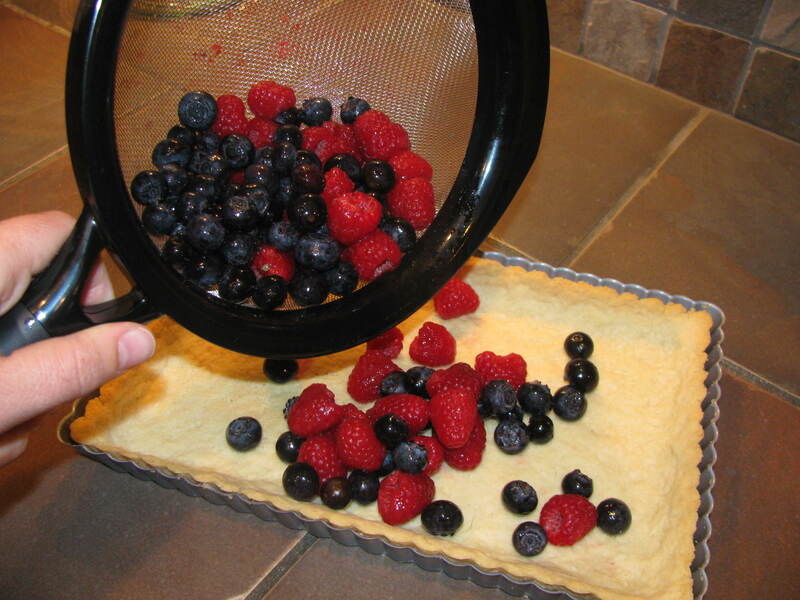 Arrange 2 cups of berries (blueberries, raspberries or a mix of the two) (rinsed off, of course, even if you use the organic ones) in the crust shell. You can dump them in like I do and then just kinda flick them around until you have a more or less even layer, or you can make stars and stripes. Knock yourself out with that. 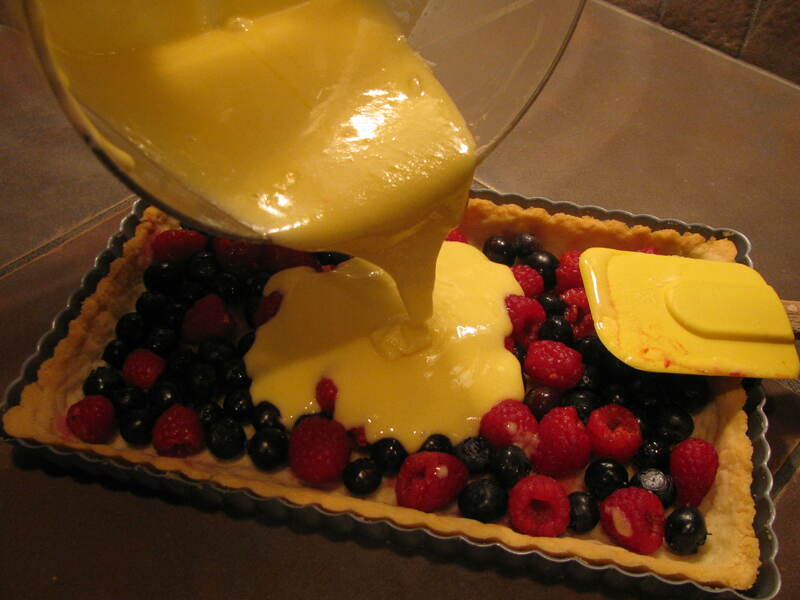 Then, pour the custard filling over the top. Pop it back in the oven for 45-50 minutes until golden. Remember those egg whites? 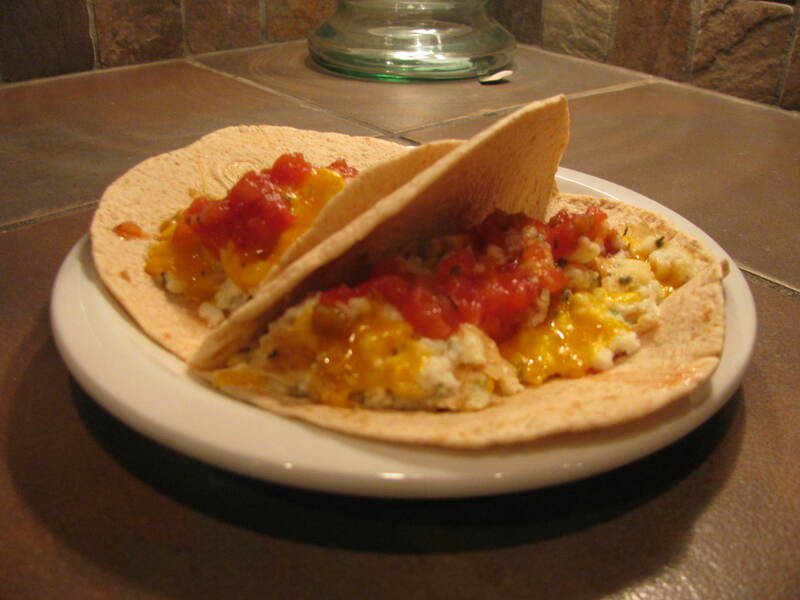 While your tart bakes, make yourself a delicious, low-fat, breakfast burrito. Turn your egg-whites into a herb & cheese breakfast burrito while you wait for your tart to bake. It was too much for me. Fischer got the last few bites. Breakfast done? 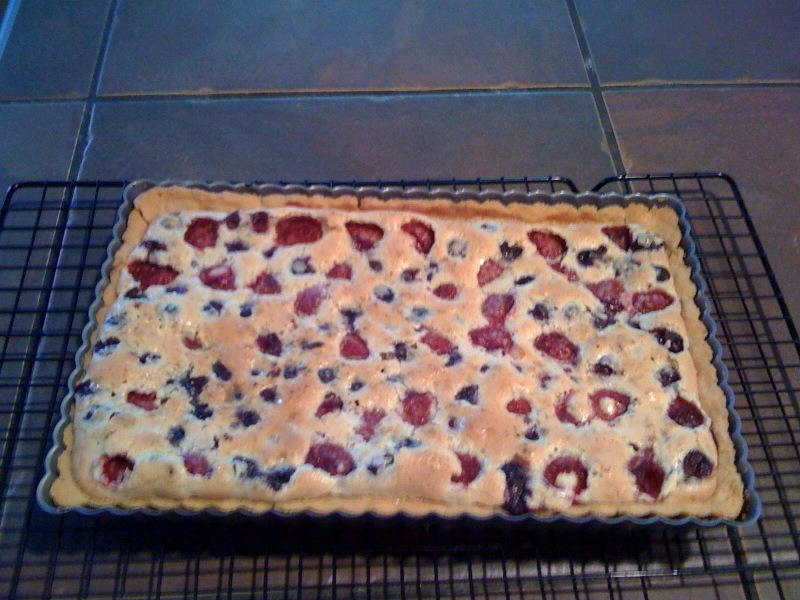 Tart done? Okay! Cool the tart on a wire rack. Serve room temp or warm, popped out of the pan “frame”. Whipped cream on top wouldn’t hurt at all. Hi sister. We must have been brainwashed as children….I thought about making this for a 4th of July BBQ this year too! !